Donations - Professional Jamaicans for Jamaica, Inc.
Professional Jamaicans for Jamaica, Inc. is a 501(C)(3) Tax Exempt Organization was created to address the economic and education needs of children who are challenged socio-economically and socially. Our mission is to address the economic and educational needs of needy children and to build leaders who will shape the future with an unfaltering commitment to inspire the same in their successors. Since our establishment, Professional Jamaicans for Jamaica, Inc. have implemented various projects to aid needy and vulnerable children and is fully committed to serve our communities in the development of sustainable programs. There is much more to be done for our children. You can make a difference. Donate money to fund our educational programs. Donate school supplies which will benefit our adopted schools. 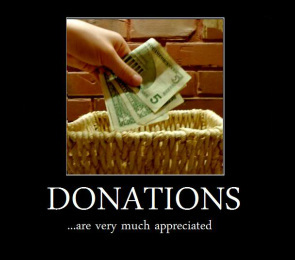 Donations to our organization are tax deductible to the full extent allowable by law.